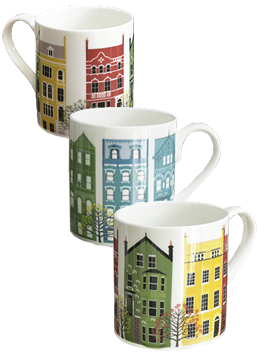 A wide variety of mugs is available. 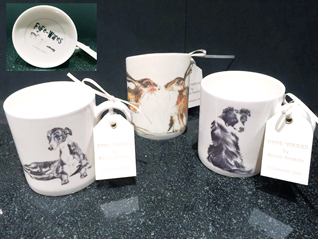 Stokie mugs (top right) courtesy of Lee Baker (digitally printed decals on Balmoral mug - see Ceramic decals and White bone china mugs). 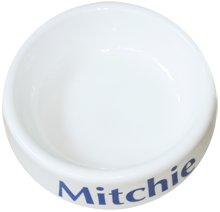 *** New for 2016 - Bone china dog and cat bowls, made in Stoke-on-Trent, Staffordshire, with your pet's name in pink, red, blue, green, black or 22 carat gold or platinum. For the pampered pet - available in 2 sizes: Large = 19cm diameter at the base & 17.5cm diam at the top x 5.5 cm tall; Small = 150mm base & 140mm top x 40mm high. 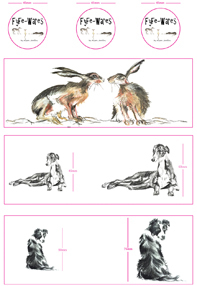 Your pet's name in a choice of 5 strong screenprinted colours: pink, red, blue, green or black. Also available printed in 22% gold or platinum, for the especially discerning pet. 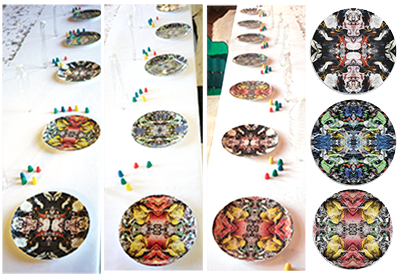 Sometimes, you may have beautiful artwork which is not in a suitable format for decorating a mug or plate, etc. We can often help with your artwork. 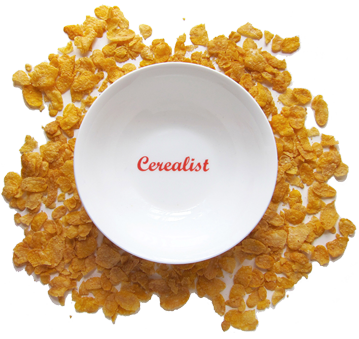 You do not necessarily need to supply artwork in a ready-to-go format. Here is an example of what we can do for you. For more information and a quotation, please contact us.